Well that was a rather good group stage. 4 British Isles sides through is a particularly marvellous outcome – rather jealous as a Scot that we didn’t have the opportunity, but I have no doubt we’d have still failed miserably. I’ve just had the pleasure of watching Ireland beat Italy, for the first time since I last watched Ireland beat Italy in 1994. Even Roy Keane was happy! Anyway, given the last 16 is complete, I thought I’d have a go at predicting the outcome of these matches. Think I got about half of the group qualifiers right – will report back again after this little lot. As for the expanded tournament format, I’m mostly enjoying it. While there has been a dip in quality, there has been an equal increase in drama and the performance of the home nations (and Ireland) has been particularly great. The fact that one of Wales and Northern Ireland will be in a European Championship quarter finals is fantastic – it really is hard to beat a summer international tournament. Continuing last night’s preview, here are the remaining three groups, as well as my thought on the overall winner of the tournament. Group D is where, in my view, this tournament starts to get a little more interesting. Despite their somewhat abject loss to Georgia the other night (Scotland can do that! ), I think Spain will top this group. While Xavi has gone, the likes of Iniesta, Busquets and Ramos remain, while there is genuine competition both up front (Morata and Nolito) and in goal (De Gea and Casillas. But really just De Gea). I am a little dismayed at the fact that Vicente del Bosque chose to leave Saul Niguez and Isco in Madrid rather than taking them across the Pyrenees, but you can’t have it all. In second, and I think in with a real chance of going a fair way into this tournament, will be Croatia. Our August holiday destination have real quality at full back and particularly in the creative midfield positions – you’d be hard pressed to find a better midfield pairing than Rakitic and Modric in any international side. In Mario Mandzukic they should also have a reliable centre-forward, though I imagine Hrvatska will more want to see his Bayern form than his Atletico Madrid form during the tournament. In a qualifying third place I’ve gone for the Czech Republic. While there are no particularly magnificent players in their squad (perhaps other than Petr Cech), the Czechs are a hideously reliable side at the European Championships, escaping from the groups in three of their five Euros appearances so far. Theirs is a side with a great deal of experience and not much youth, which in a 24-team tournament such as this might just be enough to see them not finish in one of the eight positions which entail a journey home. In last and heading back in the general direction of the Bosphorus, I’ve gone for Turkey. Where the Czechs and the Croats have been largely reliable in tournament football over the last twenty years or so, barring those two miracles in 2002 and 2008 the Turks have been generally nowhere. That said, players like Hakan Calhanoglu and Arda Turan especially are clearly not lacking in quality. Goalkeeper might be the position which particularly damages Turkey, however – following Volkan Demirel’s self-imposed banishment from the squad, Volkan Babacan of Istanbul Basaksehir seems the most likely man to step into those previously reliable shoes. Using my holiday photo collection well, here’s Florence looking generally lovely. It’s in Italy. Who are in Group F.
While the old 16-team Euros tended to produce at least one and generally two or three “Groups of Death” – Group D in Euro 2000 featuring 4 sides who’d won the thing (France, Netherlands, Denmark and Czech Republic) – this 24-team Euros has slightly diluted the potential group mortality rating. Nonetheless, I think Group E is the one which is probably the most open of the six. Sticking with the ever-reliable cliche that Italy always do well when a tournament comes around, I think they’ll win this group. Though this is one of the more uninspiring Italian squads in recent years (Thiago Motta isn’t really a worthy successor to Roberto Baggio’s number 10 jersey), I still think they have a sound enough platform to win the group. They will be solid rather than cavalier in winning the group, I fancy. And I still don’t understand Conte’s exclusion from even his 30-man preliminary squad of Sebastian Giovinco, even if the soon-to-be Chelsea manager is right about the lack of quality in MLS. I reckon Belgium will come in second. Their squad is full of talent, from front to back. Defensively they are a little odd – Toby Alderweireld and Jan Vertonghen have tended to play as full backs rather than at centre-half as they did so well for Spurs this past season. With Vincent Kompany injured, that club partnership may well be restored, though then Belgium don’t look over clever in the full back area. But, if Hazard, De Bruyne, Lukaku and their ilk all fire, Belgium should do well but I think will improve as the tournament progresses. That said I wasn’t particularly impressed with them at the World Cup in 2014 – Marc Wilmots has since had two years to get a little more out of his side but Belgium may again find it a little difficult to win people over despite their apparent strength. Coming in third but still going home will, I think, be Sweden. Zlatan’s last chance will ultimately be dashed, though he will still no doubt make his mark with some outrageous piece of skill or astonishing 30-yard volley. Seemingly his partnership with Marcus Berg has been yielding some goals – though where in the late 90s and early 00s Sweden used to have reliable names throughout their squad, they still rely on Andreas Isaksson in goal and largely forgettable mid-table Premier League, La Liga and Serie A players make up much of their starting 11. In fourth (and no the island of Ireland, it’s not personal) I think we will find Ireland. The Irish will be much improved on their horrendous performance in 2012 (they couldn’t be much worse) though will still in my view find it difficult to win points in this group. There is a little more strength in their squad than in that of their neighbours in the North – Seamus Coleman has even made the first cut of my Fantasy Euro 2016 team. That he is one of Ireland’s main attacking outlets perhaps says it all though – the Irish are solid rather than particularly creative. They should be good for a point or two – that game first up against Zlatan and Sweden will be vital to both sides’ chances. The Jose Alvalade stadium in Lisbon – occasional home of the Portuguese national side. And so to the end of the groups, and near the end of this post, with Group F. In first place will I think be Portugal. This should be too easy a group for them to fail in, and, as Michael Cox pointed out in today’s Guardian preview of this group, Cristiano Ronaldo loves battering in goals against rubbish teams. This group certainly has one of those in Hungary. Any side with Pepe and Bruno Alves as their first choice centre-backs are always going to be living somewhat dangerously, and in conforming with a problem that has seemingly existed in Portuguese football since Eusebio retired, they don’t have anything like an international-class centre forward. But then with the other Ronaldo in the side, maybe they don’t need one, at least go get into the last 16. In a solid second place I’m going to plump for Austria. Like their Alpine neighbours, Austria have a decent smattering of quality players – as well as the obvious in David Alaba, there’s also Christian Fuchs, Marko Arnautovic and Dynamo Kiev’s Aleksandar Dragovic among others. Though qualifying form is never too indicative of how a team’s summer will pan out, given the absolute ease with which Austria qualified from a not particularly easy group, I think they’ll have enough about them to reach the last 16. In a qualifying third place spot, and I really hope this happens, will be Iceland. The smallest country to ever qualify for a Euros (with a population roughly equivalent to Coventry), again their squad has fine players in important positions. Gylfi Sigurdsson, Kolbeinn Sigporsson and Aron Gunnarsson will be very important to the Icelandic cause, whose defence I’m not quite as convinced by. The fact that Eidur Gudjohnsen will get the opportunity at 37 to represent his country at an international tournament is also one of the lovely side-stories of the tournament. Last, and competing with Albania for dead last in the tournament, will be Hungary. Having finished third behind Northern Ireland and Romania, a play-off victory against Norway saw Hungary through. One point of undoubted pleasure is that it is the first time since 1986 that this country with a proud footballing heritage has qualified for a major tournament. However, I think the achievement of qualifying will be the best the Hungarians can take way from France. A side that still relies on Gabor Kiraly and Zoltan Gera is probably one that won’t get too far, though fans of World War 1 history will enjoy the Austro-Hungarian derby on the 14th. Having used Sky’s predictor, my semi-final line-up came out as Spain v Belgium and Germany v France. From that, I think it’ll be a cross-Pyrenees final between Spain and France, from which France will emerge triumphant – their third success in the last three tournaments they have hosted. I’ll have no doubt got at least 50% of these predictions wrong – nonetheless I am really looking forward to 8pm tomorrow and the start of Euro 2016.With no doubt more (hopefully shorter) posts to come. It’s come round again. My secret favourite international football tournament – the European Championships. 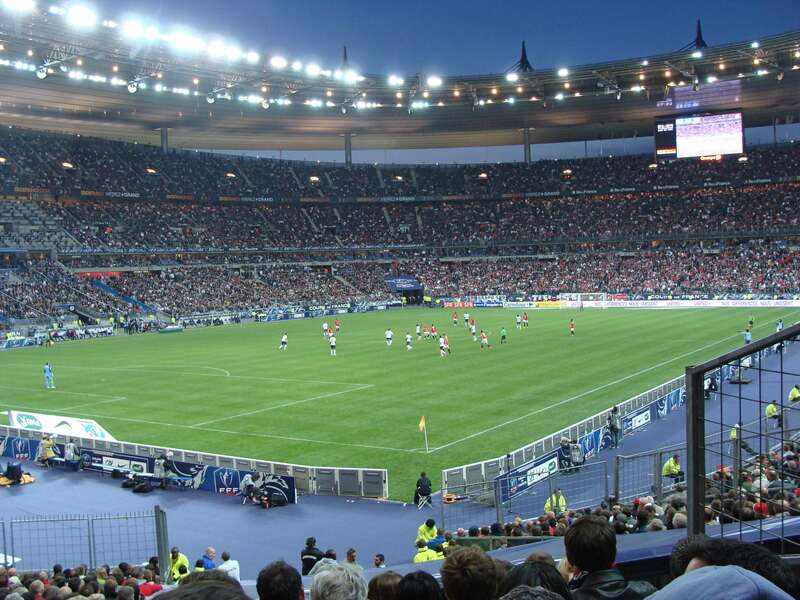 Despite my attempts at nostalgia recently (though I’ll finish my Euro 2000 post at some point as it was too good a tournament to not recall), time has strode inexorably on to the point where in less than 48 hours, France will kick off the 2016 European Championships against Romania. This first 24-team Euros perhaps doesn’t quite have the wall-to-wall quality of the previously 16-team tournament, but I imagine the Championships will still do the job pretty well in terms of general entertainment and footballing endeavour. As this is a 24 teams into 16 group stage, I’ve employed the useful services of the Sky Euro 2016 predictor (I guess they have to do something when they don’t (for once) have the TV rights) to get the third place predictions properly into play. As ever in compiling these, I am also rather grateful to the good people at FourFourTwo for producing such a chuffing excellent preview to the Championships. I’ll do the first three groups tonight, with the next three to follow tomorrow night. Inevitably, I think France will qualify with ease from group A and do so as group winners. One might argue that France’s Benzema-less forward department is perhaps, a little lacking in quality and/or experience compared to its other divisions, but given France won the World Cup in 1998 with Stephane Guivarch as the lone man up front, this may not be troubling too many at the other end of the Channel Tunnel. Runners-up in Group A will I think be Switzerland, as was the case when the two countries were drawn together in the 2014 World Cup’s group stage. Switzerland are in that reasonably happy spot where they have markers of quality across their side – Shaqiri, Xhaka, Lichtsteiner and their ilk should see the Swiss comfortably into second. Also qualifying from Group A will, in my view, be Romania. Like the Swiss they do have a smattering of quality in key positions, though perhaps a less convincing smattering. They also have everyone’s favourite Football Manager Romanian, Gabriel Torje, available to do his real-life thing, as well as having the manager of that wonderful 1994 World Cup team, Anghel Iordanescu, back in charge which should help. Rather predictably, I reckon Albania will be on their way home in fourth. I’m not entirely convinced they have the quality in their squad to last the pace over the three games, and they did slightly have to rely on a flag-based riot to get them into this Championships (a chip on my shoulder you say?). That said, they did still qualified automatically from a group containing Denmark, Portugal and Serbia and have a tactically secure and sound manager in Gianni De Biasi. They will be wrapping Lazio keeper Etrit Berisha in many protective layers though – his two potential replacements both play in the Albanian top flight. Again sticking fairly tediously with the seedings, I think England will finish top of Group B. Again, on balance the squad’s quality should be sufficient to see off their various opponents. Roy Hodgson, unlike in 2012 and arguably 2014 too, now at last seems to have found his favoured starting 11, a system that works and has picked hungry players (largely) more on form than reputation. As previously mentioned, I’m still utterly baffled why the best English midfielder in the Premier League in 2015-16 has been discarded in favour of someone who’s played about 78.92 seconds of football in 18 months, but you can’t win em all. I really fancy Wales to join their near-neighbours in the last 16, on the assumption that they keep Gareth Bale fit. Like the Swiss in Group B (and other than the fact both sides play in red), they have a reliable spine through their team with Wayne Hennessey, Ashley Williams, Aaron Ramsey and the aforementioned world transfer record subject all playing at a high level. The added poignancy of this being a team arguably built (or at least the foundations) by the late Gary Speed will I imagine provide further motivation. In third but still in the round of 16, I’ve plumped for Slovakia. This is largely based on the premise that I really, really rate Marek Hamsik who has, when so many around him have high-tailed it to England, Spain or Germany, stayed put in Naples and helped his club side to half-decent runs at the Serie A title and in Europe. Like Bale for the Welsh, he is the man the Slovaks build their side around and rightly so. If Martin Skrtel can reduce his propensity for own goals, the lower half of the Velvet Divorce should also be solid at the back. In last I’ve gone for Russia. I’ll admit right away that this is predicated solely on the fact that, other than the blip that was Euro 2008, Russia tend to be abysmal when they qualify for tournaments. Still relying on Ignashevich and Berezuitsky as your first-choice central defensive partnership two years prior to hosting the World Cup perhaps also demonstrates the dearth of defensive talent in President Putin’s domain. I am though looking forward to seeing if Aleksandr Kokorin can produce the bacon for his side in a major tournament. Sticking to my record so far of exciting and out there predictions, I think a recently-slightly-ropey Germany should still top their group. Though Lahm-less they are certainly not sheep, though have, as everyone seems to have pointed out over the last few months, lost something of their defensive solidity and decisiveness despite Jerome Boateng emerging as a leader in the back four. Like the French, their forward line is severely lacking other than the ever-present yet elusive Thomas Müller. Deutschland should still however be capable of progressing some way into this tournament. The only other side joining Germany from Group C in the last 16 will be Poland. At last the Poles appear to have found a way to get the most out of Robert Lewandowski (unlike in 2012), while there is more reliable European experience throughout the squad. Remaining unbeaten against Germany (and Scotland) in qualifying will only add to the Poles’ (rightful) sense of entitlement to progress further in the competition. It gives me no pleasure in saying that I think Northern Ireland‘s European odyssey will come to an end when the group stage concludes. I still though, with their incredible team spirit and astute manager in Michael O’Neill, fancy them to beat Ukraine. For a side which features players from the likes of Kilmarnock, Notts County and Melbourne City, to get this far (at the risk of sounding extremely patronising) is an incredible achievement. And again makes me question why Scotland won’t be in France this summer. Joining Northern Ireland on their way home (though in a different direction) will be Ukraine. Though granted Yarmolenko and Konoplyanka are both excellent creative players with real European pedigree, the spine of the side looks to be suffering a few slipped discs (I’m here all night). Andriy Pyatov is not immune to the odd blunder, while Anatoly Tymoschuk, while undoubtedly a wonderful holding midfielder in his best days, is playing in Kazakhstan at the age of 37. Add to that the fact that a significant minority of the squad haven’t played in their club side’s home stadium in 2 years, and much as I’d like them to bring their countrymen some well-needed cheer (and frankly stick one to the Russians), I think Kiev Airport will be seeing a charter return flight reasonably soon. Enough of my babbling for tonight – until tomorrow for Groups D-F. Continuing my odyssey to previous editions of the European Football Championships, here’s my concluding post on Euro 96. Euro 96 was the first European Championships for which 16 teams could qualify, and also the first after them various Eastern bloc countries had properly sorted themselves out. From that part of the world, Romania and Bulgaria had qualified having had fantastic World Cups in 1994, but would fall far short of those standards in England. Russia meanwhile, having had a terrible World Cup, had a fairly terrible Euro 96 too. Croatia and the Czech Republic, however, were quite. One country formed from a horrible civil war, the other from the “Velvet Divorce”. Both of their recently formed national sides had rather good tournaments. The Croatians pretty much had me hooked the first time my 12-year-old saw their white and red draughtsboard shirt. Their match against Denmark was the clincher really – Davor Suker beautifully chipping Peter Schmeichel, and then trying to beat the Manchester United keeper from the halfway line. That he was the top scorer at France 98 was no real surprise. Looking back at that Croatia side now, you see why they were quarter finalists in England and semi finalists in France. The starting line-up against Turkey in their first group game is full of fantastic players: Boban, Prosinecki, Stimac, Boksic, Stanic among many others. Unfortunately, eventual champions Germany stopped the red and white picnic blanket army, Mattias Sammer’s goal decisive in a 2-1 win at Old Trafford. The Croatians would have some revenge, of course, 2 years later. The Czech Republic, meanwhile, were even better. Again, looking through their squad, the names leap out – Kouba, Kuka, Poborsky and Nedved some among a great squad. They started as you might expect the Czech Republic to – a 2-0 defeat to Germany. With Italy next, the odds appeared to be in favour of the Czechs taking a short flight back to a pre-stag-night-infestation Prague. Instead, they won 2-1 with a 24-year-old Nedved among the scorers. A 3-3 draw with Russia, thanks to an 88th minute equaliser from Vladimir Smicer, took one of Europe’s newer countries through to the quarters. Where they would, of course, face Portugal. And where, 8 minutes into the second half in front of a mere 26,000 folk at Villa Park, Karel Poborsky, soon to join Manchester United, scored the goal of the tournament to win the match for the Czech Republic. Running through the Portuguese defence, he scooped the ball deliciously over Vitor Baia to score the game’s only goal. After navigating a penalty shoot-out win over the French in the semi-finals, it was to Wembley and the final the Czech Republic went, to face Germany. A Patrik Berger penalty gave the Czechs the lead on 59 minutes. The game’s turning point, however, would be in the 69th minute when Oliver Bierhoff replaced Mehmet Scholl. Four minutes later, Bierhoff equalised. Then, with only 5 minutes of extra time played, he scored the first international golden goal to give Germany the trophy, Petr Kouba making a costly and unfortunate error in the Czech goal. As much as it pains me to say as a Scot, England really did play well in those three weeks in June 1996. Though their performance against Switzerland was pedestrian, their second half against Scotland (which I’ve rewatched and was reannoyed by on the BBC website tonight) was something of a catalyst for the remainder of the tournament. It was the 4-1 win over the Netherlands (the “1” still rankles) that was in retrospect their biggest success of that tournament, the Shearer and Sheringham combination working to perfection. David Seaman, having saved one penalty against Scotland, then saved some more in England’s shoot-out win against Spain (not quite so likely a result now) in the quarters. England’s semi-final with Germany was by far the most entertaining of the two, the other being a 0-0 dirgefest between the aforementioned Czechs and the French. Shearer gave England a very, very early lead before Stefan Kuntz equalised. Despite Paul Gascoigne being millimetres away from a Golden Goal in extra time, we all know the story. Gareth Southgate missed his penalty, Andreas Moller scored his, and England lost. But of course Euro 96 was also the springboard for further commercialisation in English football, to extend the brand a bit further out. It was, despite the odd low attendance (not something, I imagine, would happen now) and a bit of post-Germany-defeat trouble in central London, a tournament which showed England as a modern footballing powerhouse. That some of the tournament’s stars, players like Suker and Poborsky (and Jordi Cruyff…) would soon play in English football, laying the foundations for today’s multinational, multi-billion pound industry, is not something that should be forgotten. Oh and “Three Lions” by Skinner and Baddiel was decent too.